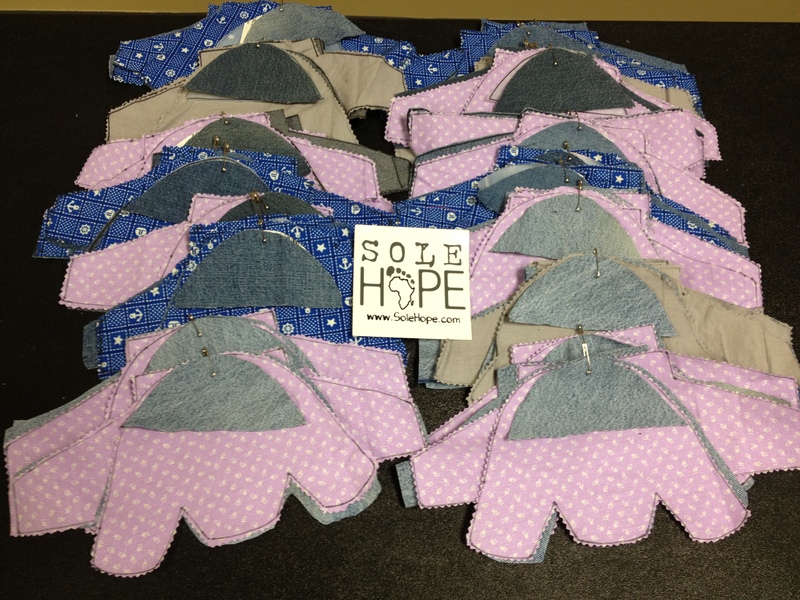 Sole Hope: A gift for you, 100+ pairs of shoes, and me! I’m beyond excited to share these 3 great things about Sole Hope today. So instead of making you read 3 separate posts, here they are. Keep scrolling! 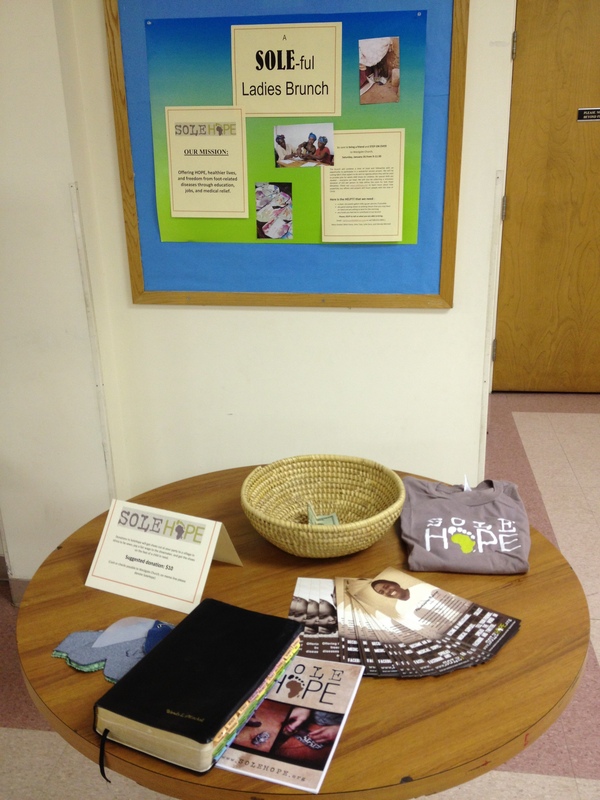 Sole Hope is celebrating their 3rd birthday! You know how most people GET birthday gifts? Not the awesome folks at Sole Hope. They are GIVING a 33% discount (code below) in their store, until the end of March. 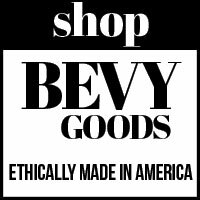 Shop away, my friends! I have more posts about Sole Hope. Check them out! Fancy Little Things is showing love to Sole Hope for the next month, by encouraging Shoe Cutting Parties, donations, prayers, etc. Head over to Fancy Little Things to read the full post (by yours truly!) and see how you can join in. Don’t forget to join the Fancy Little Things Community and introduce yourself! We want to get to know everyone who is hosting parties! 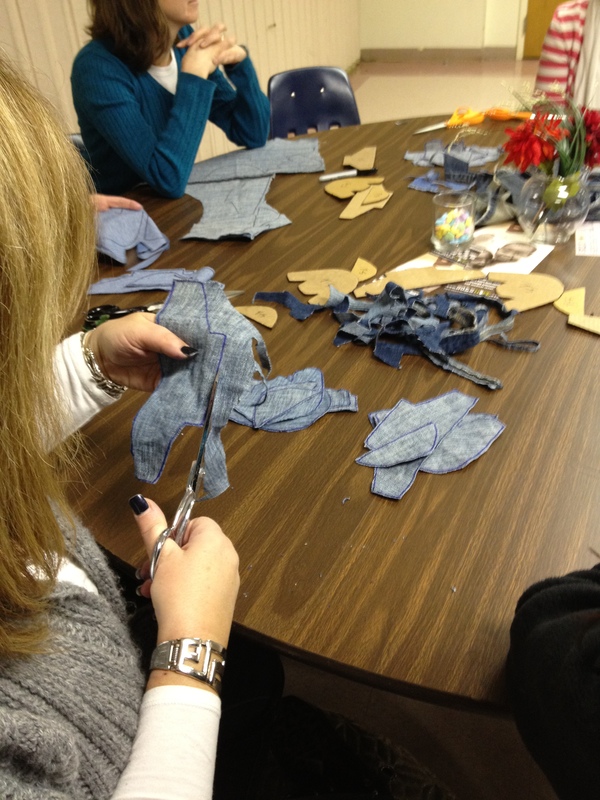 I have more posts about Sole Hope Shoe Cutting Parties (and other Giving Parties). Check them out! You are invited to help! 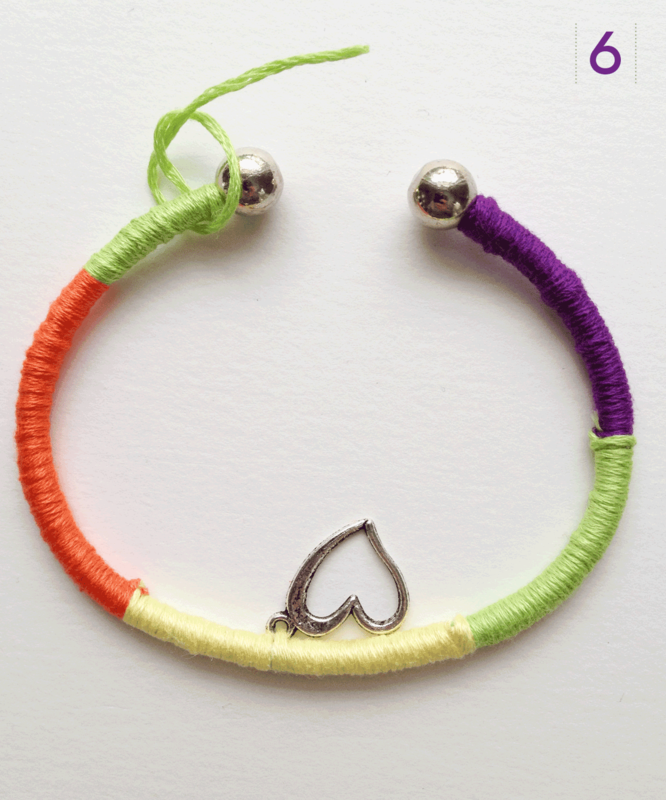 Even if it is one bracelet or pouch or twenty, anything helps. Everything matters. Make because She’s Worth It! Don’t know where to begin? 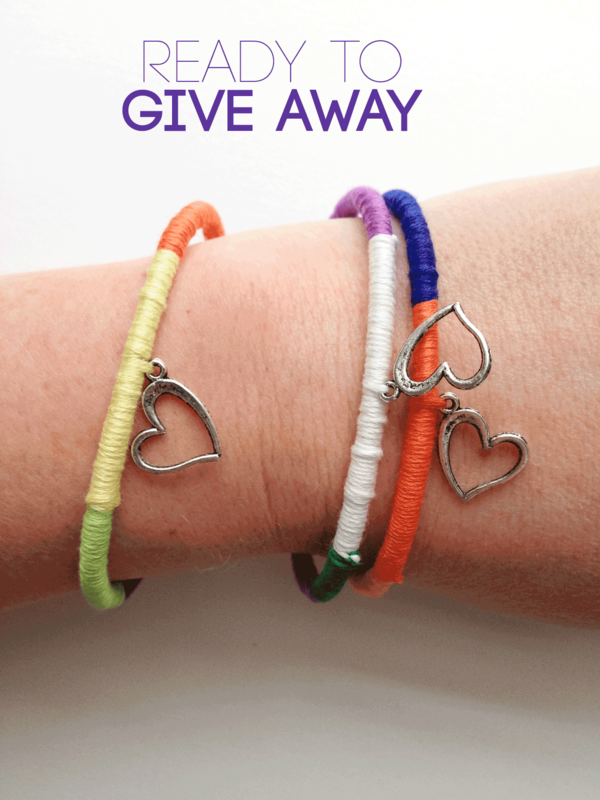 Here is a super easy bracelet. You just have to wrap, cut and tie! Kids can easily help with this project. It is a great opportunity to start the conversation about giving to others. 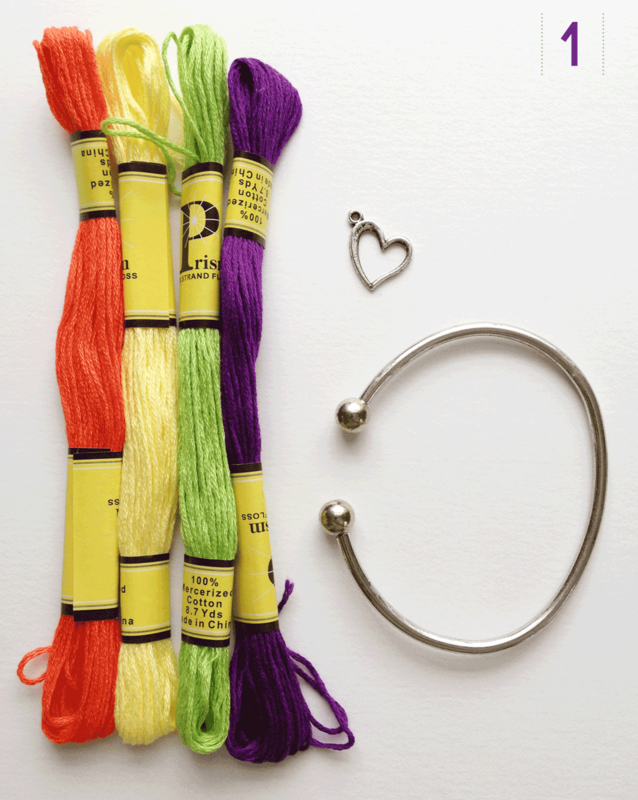 Supplies: Thread (pick any combination of colors you like), a charm (I chose a heart so the recipient would be reminded of how much they are loved and valued), and a bracelet (found this at Joann’s in the jewelery supply section). 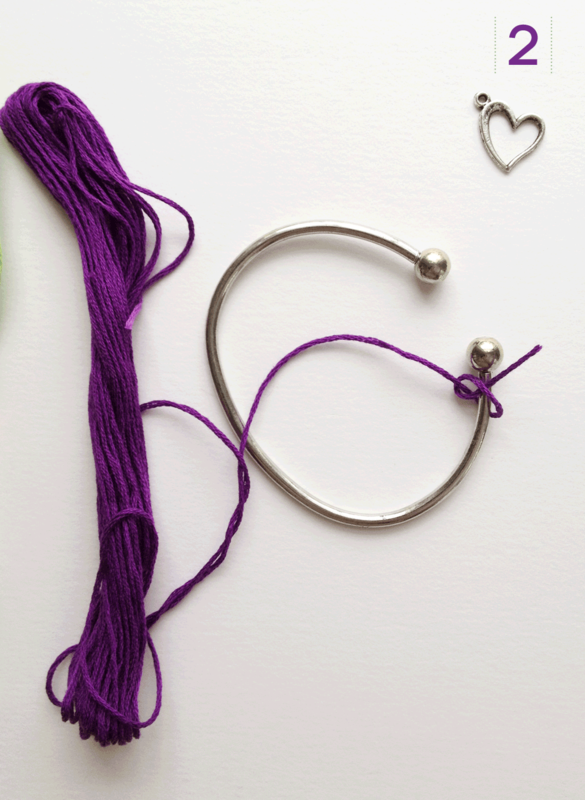 To start, just tie the thread around one corner and start wrapping! When you want to switch to the next color, just snip the first color, tie the two threads together, then snip the ends shorter. Keep wrapping and tuck the cut ends so you are now wrapping the second color over top of them. Do this whenever you want to switch thread colors. When you get halfway, snip the thread (I kept mine long since I wanted to continue the yellow), put the charm on and keep wrapping. Tie off the thread when you get to the end. I made about 3-4 knots just to make sure it wouldn’t come undone. Cut the thread and you’re done! Where do you send your completed bracelets? Email thetraintocrazy (at) gmail (dot) com for more information. She will send you details, including the address to mail you completed projects. 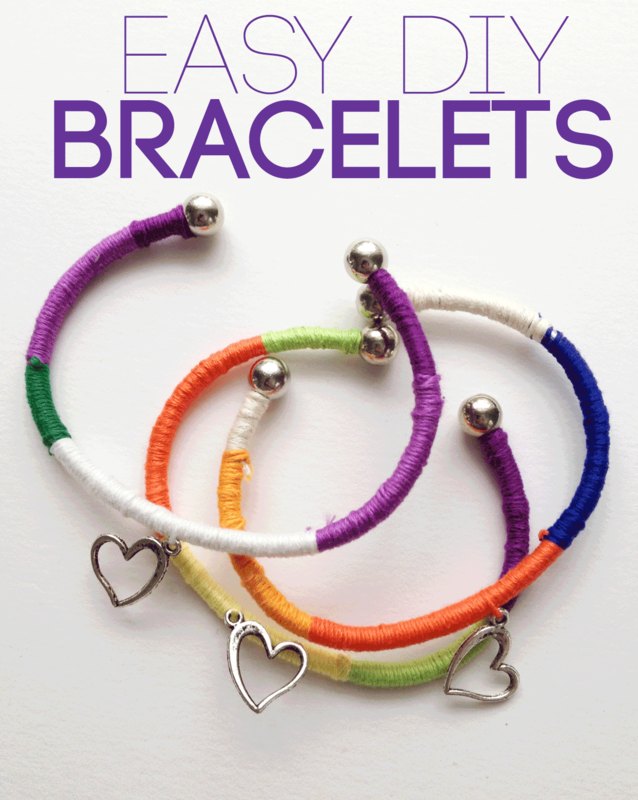 Andrea will collect the bracelets and pouches and will mail them to She’s Worth It. Some will be hand-delivered in Cambodia in May, and the rest will be distributed by other organizations in partnership by She’s Worth It. Don’t want to make anything? Please consider giving to the She’s Worth It Campaign! You know my love of Sole Hope by now, right? A fantastic etsy shop, Good Little Things, created this beautiful leather flower ring ($20). For every sale of this ring, Good Little Things is generously giving $10 directly to Sole Hope! $10 sponsors a pair of shoes for a child in Uganda. $10 helps prevent painful jigger infestations in their feet. 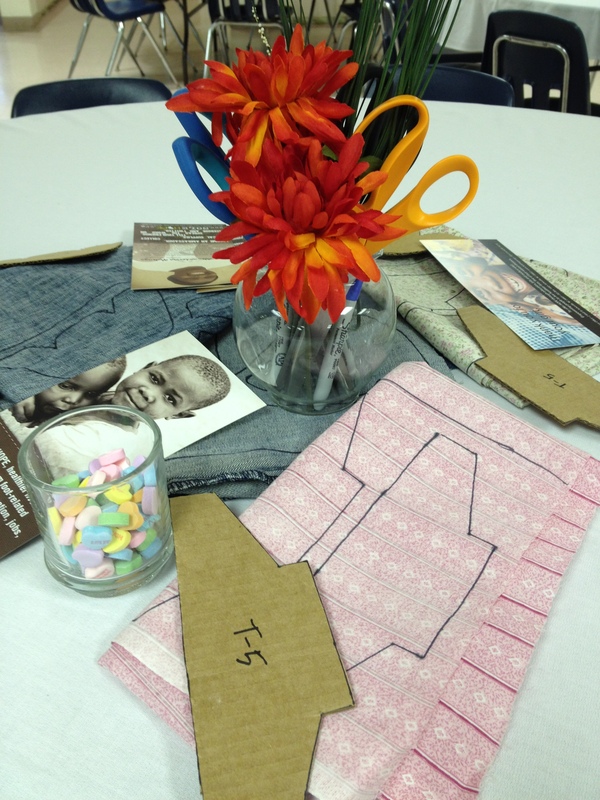 $10 helps pay a fair wage to a local Ugandan to sew the shoes. For $20, you will receive this great ring, and help sponsor a pair of shoes for a child in Uganda. Remember all of the shoe patterns that have been cut at the Shoe Cutting Parties? Each one needs to be sponsored. You can help with the purchase of this ring! To purchase, and help support Sole Hope, visit the Good Little Things Etsy shop. 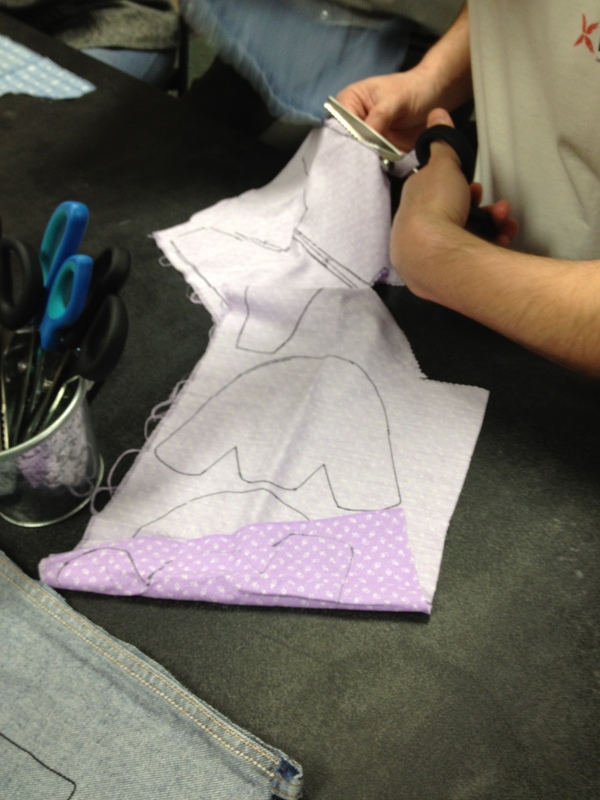 Psst, I have more posts about Sole Hope Shoe Cutting Parties…have a look! 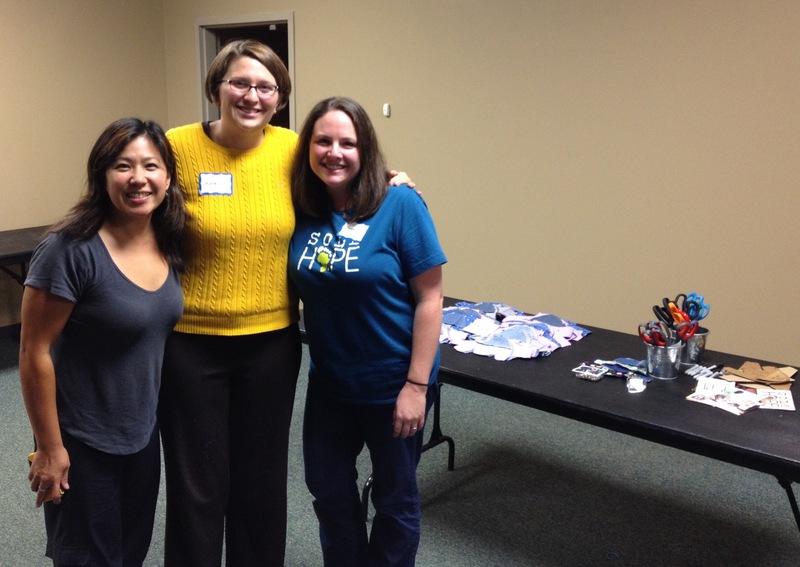 As a Sole Hope Ambassador, I was fortunate to help with a Shoe Cutting Party my friend, Wendy, and a few others were hosting at their church, Westgate Church. A “Sole-ful” Brunch, designed for the women of the congregation, to come together, fill our bellies and hearts, and use our hands for God’s glory. It was a time of rest and a time of service. After watching the Sole Hope video, Wendy offered words of encouragement to not only listen to what God is telling us He wants us to do, but to also go. And do it! For Asher and Dru Collie, the Sole Hope founders, this meant being profoundly touched by the damage jiggers do to children and the community, and starting Sole Hope to end this plight. This doesn’t mean God wants each of us to start a non-profit, but we need to listen. And go. And do. For His glory. I am so grateful for the women of Westgate Church. 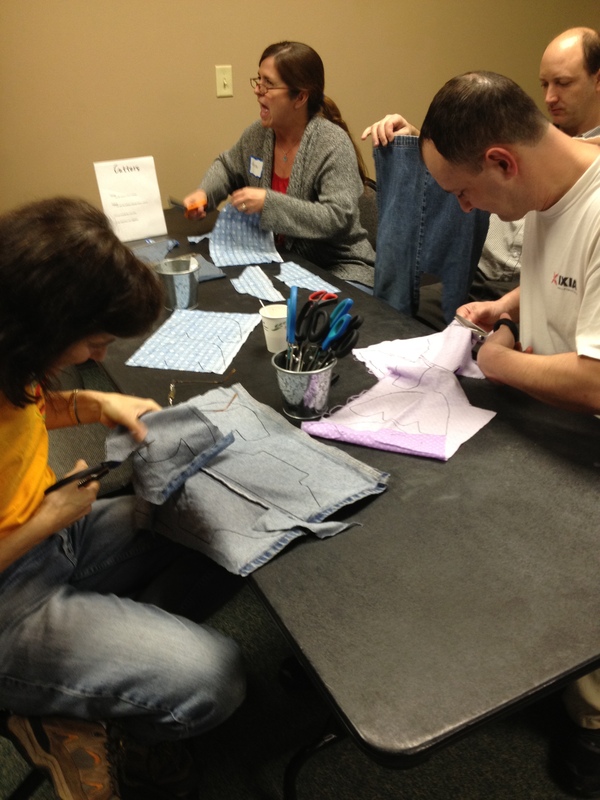 Thanks to their compassion, time and effort, over 60 shoes were cut! 60 children will be protected from jiggers! 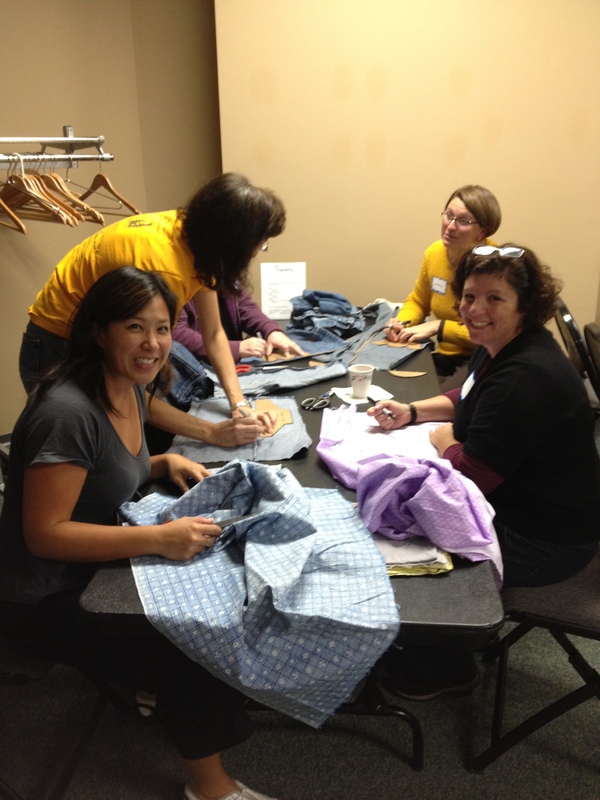 Women will have jobs and will be able to support their families, thanks to the women of Westgate Church! I have a church crush. I tell friends (incessantly) and strangers alike about how much I love our church, Grace Chapel. God is alive in this church – in the people, in the worship, in the serving, in the ministries. Want to experience it? Come with me anytime. I’ll save you a seat. Since Grace is a large church, they encourage deeper relationships through Life Communities. We were able to join one for a few years when the boys were younger, but had to stop when their bedtime changed. 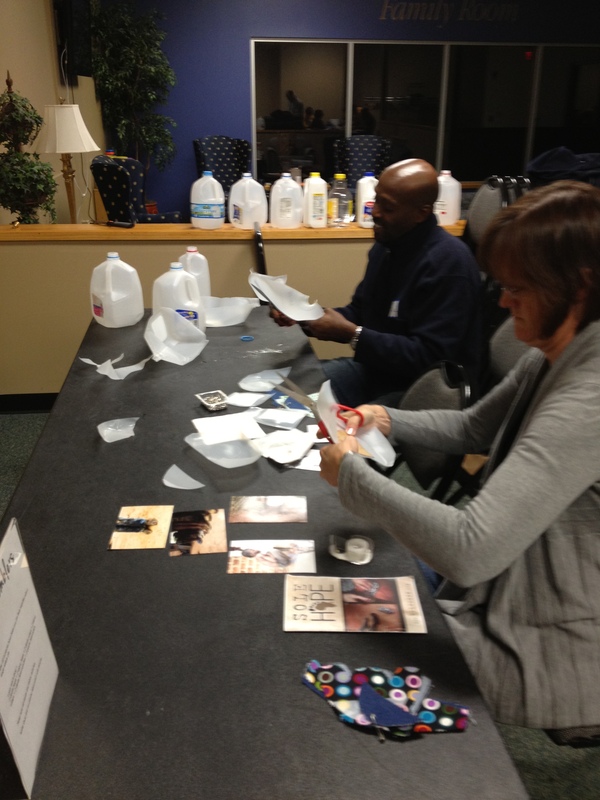 So when I heard from our Life Community that they wanted to have a Sole Hope shoe cutting party, I was giddy! Not only do I get to see our church family, but we get to put our hands and hearts to use and create shoes for kids in Uganda! It was at the end of a very long day, but they showed up. They gave of their time. Their energy. Their financial donations so the women who sew the shoes will be fairly compensated. People stayed late just to make sure we had complete pairs! We made a goal to complete 10 pairs of shoes in the hour. (Everyone needs a goal, right?) But God is good. We completed 15 pairs! Fifteen children will be protected from jiggers. Women will have jobs and an income to feed and care for their families. All this in about an hour. 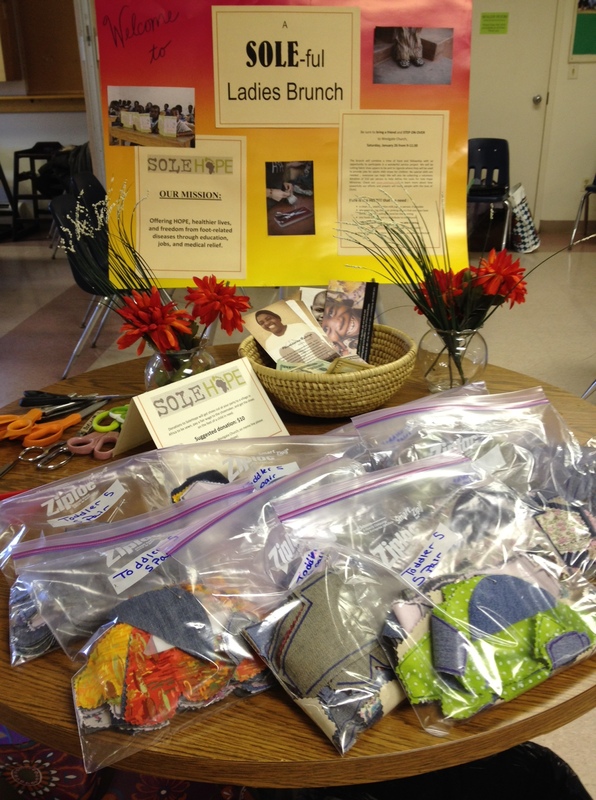 Thank you Sole Hope for delivering these shoe pieces to Uganda. It gives me such great joy to know these shoes will protect children and provide jobs. Thank you friends for your incredible generosity and hard work. 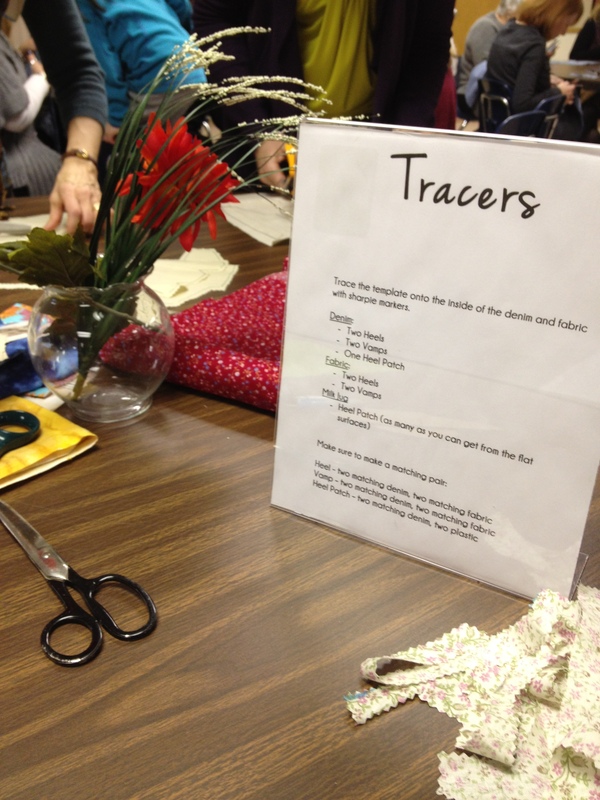 Want to host a Shoe Cutting Party? Email me (givetodayblog@gmail.com) and I can help get your started!